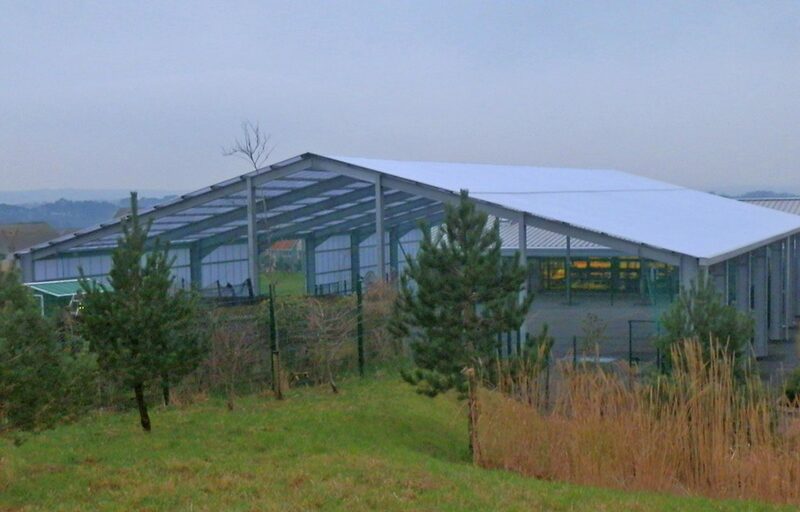 Large multi-use games area (MUGA) structure for education establishment offers all year round sport. 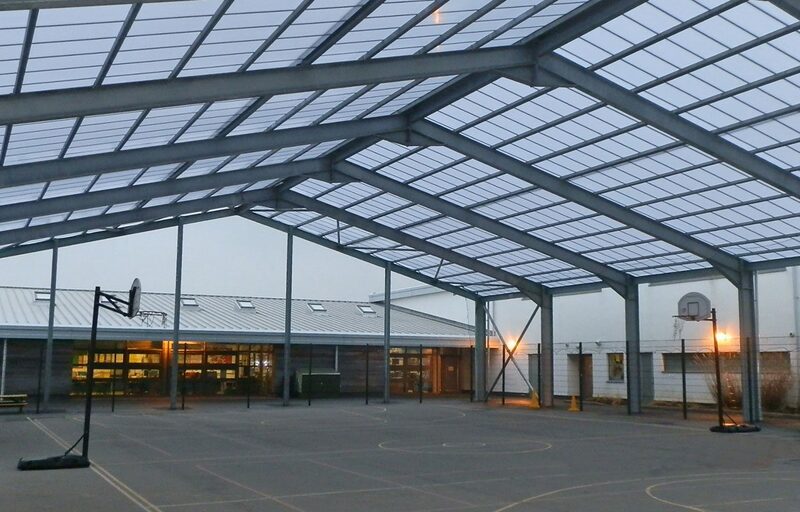 A portal framed steel structure is completed by a hard wearing 16mm polycarbonate roofing solution for Riverside School in the West Country. 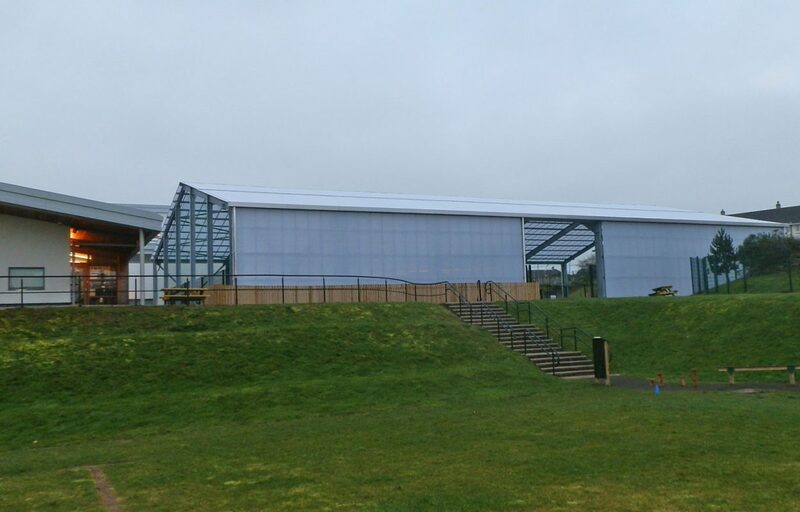 This roofing technology has been designed for an endless range of roofing applications and is known for its ability to withstand extreme weather conditions while allowing adequate light transmission. MUGAs offer a cost effective sporting solution equally suited for education environments and sports and leisure establishments. We have a unique capability to cater for diverse customer needs due to our ability to offer a complete design and build service. 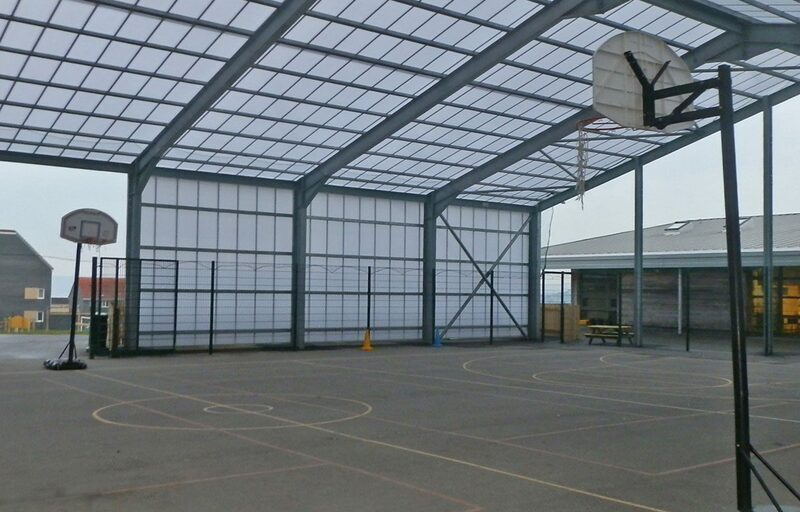 Fordingbridge are experts in creating all weather environments; so schools, clubs and leisure centres can offer sport all year round. We offer a free, no obligation site survey where one of our technical sales managers can come and discuss concepts and ideas with you.